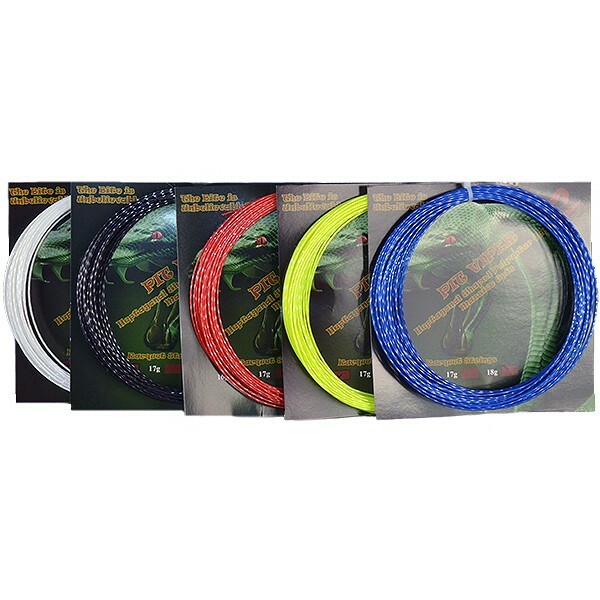 Features an ultra durable co-polyester monofilament string in heptagonal profile which provides great power, softer feel and improved tension maintenance. Features an ultra durable co-polyester monofilament string in heptagonal profile which provides great power, softer feel and improved tension maintenance. The unique thermo-twist process offers added ball bite, enhanced spin and excellent control. For aggressive players demanding maximum durability and exceptional spin and control.